Nobody much likes to pay taxes. 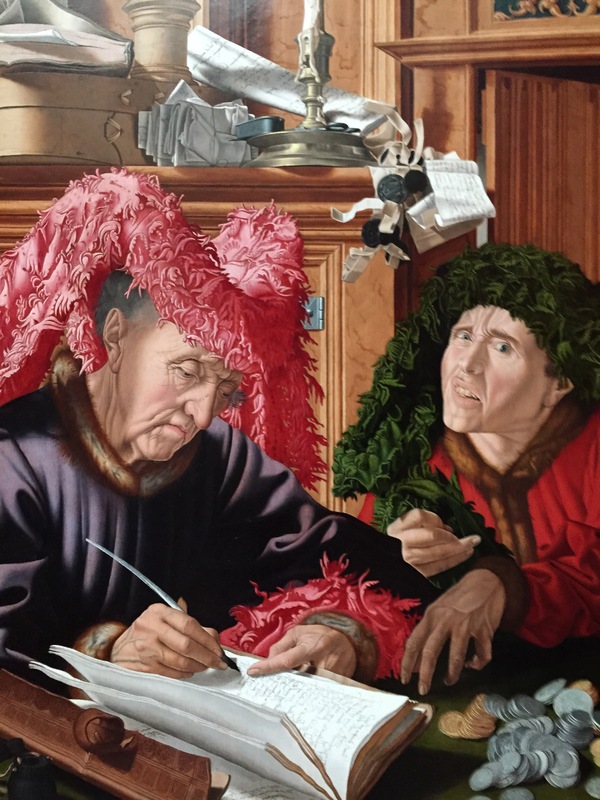 In the London National Gallery I came upon these two fellows, “The Tax Gatherers.” The painting is from the workshop of Marinus van Reymerswale, most likely from the 1540s. The caption explains that it was probably painted as a satire on covetousness. (Do you think? It looks to me like a 16th century version of a biting episode of our “Saturday Night Live”). In the 1500s, government authorities imposed taxes on items such as wine, beer and fish. The serious-looking gentleman on the left is apparently writing out a tax list. Once the tax rate was set, private individuals were entrusted with actually collecting the money from taxpayers. An unscrupulous tax-gatherer could obviously take advantage of this system. The man on the right, with his grasping fingers and face contorted by greed, looks more than ready to grab more than his fair share of whatever he collects. We all hope our hard-earned tax money is used well, but we suspect it is not. As Americans get their tax returns ready to stamp and mail (this year actually on April 18 instead of the traditional April 15), some people might have headaches. I came across a possible remedy in the National Museum of Finland in Helsinki. 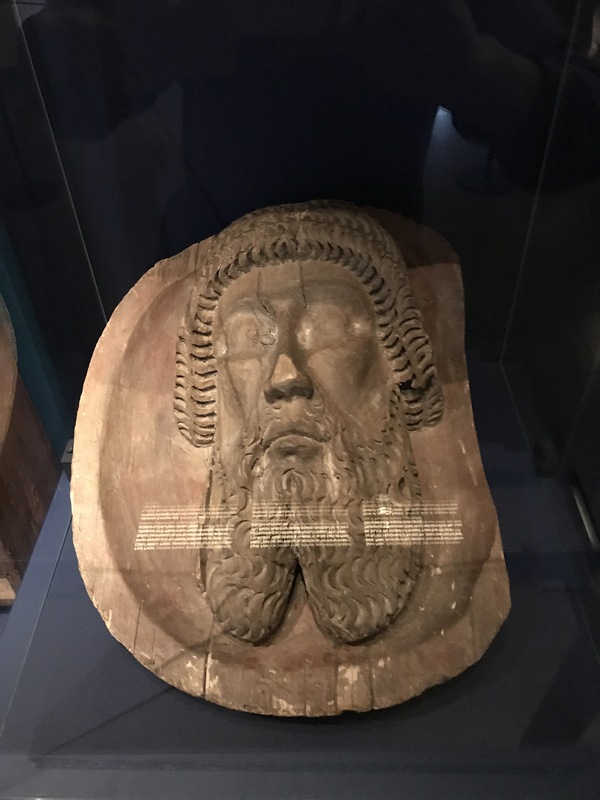 It’s a wood carving of the head of John the Baptist on a platter, from the Pertteli Church, circa 1500. The caption helpfully explains that parishioners cured their headaches by holding it above their heads while praying. Worth a try, I would think! This entry was posted in Uncategorized on April 15, 2017 by Claudia Suzan Carley.